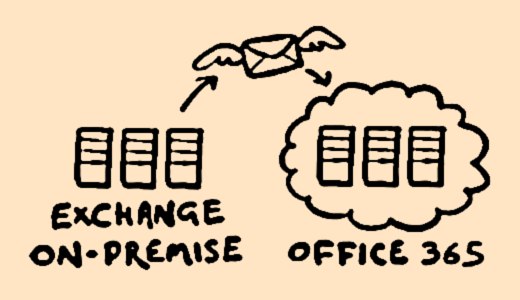 If you are a Microsoft Exchange administrator, there’s a 99% chance you’ve at least once already asked yourself the eternal question: should I move to Office 365 or stay with Exchange on-premises? Because Office 365 is all the rage lately, looking for the answer on IT forums and expert blogs has probably turned up a lot of opinions in favor of The Cloud. This, of course, is to be expected, given that Microsoft has been putting an enormous effort into promoting their online mail platform. But there is a downside to Redmond’s publicity push. Namely, it’s becoming increasingly difficult for users to tell the facts from the marketing jargon. That’s why we thought it would be useful for admins if someone who has extensive experience with Office 365 (and has performed a migration or two), told it like it is. No sales talk, just the raw need-to-know details. World famous Microsoft Office 365 MVP, J. Peter Bruzzese, seemed like the perfect man for the job. So we teamed up. Fast-forward a couple of months, we are happy to present to you “Conversational Office 365 Migrations” by J. Peter Bruzzese. The free PDF booklet includes brief studies of all aspects of Office 365 (services, admin features, Online Roadmap, etc.) and a discussion of available migration methods.